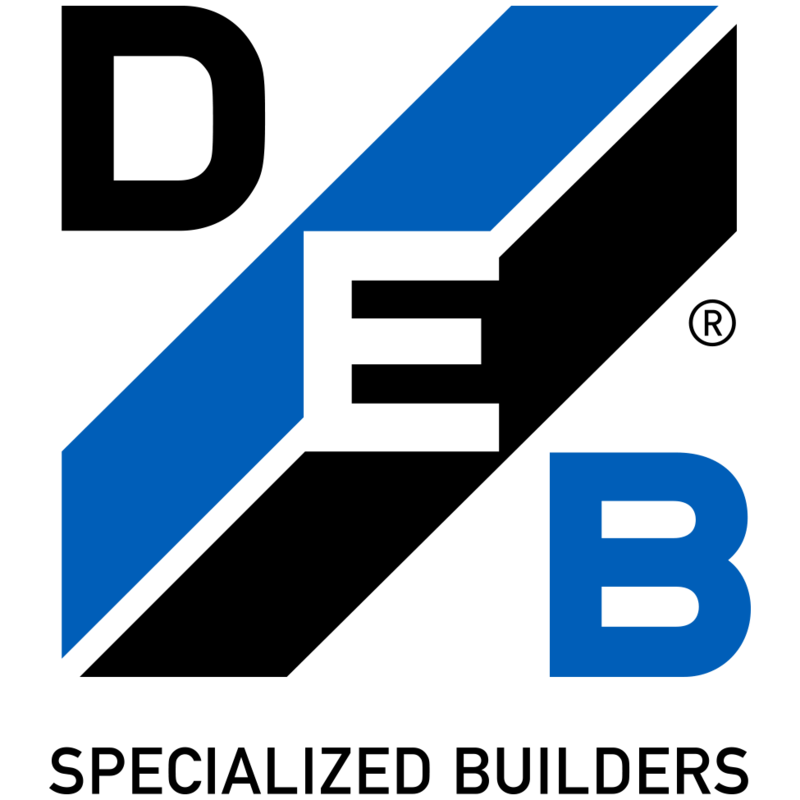  DEB Construction provided design/build services to complete this fast-track project. 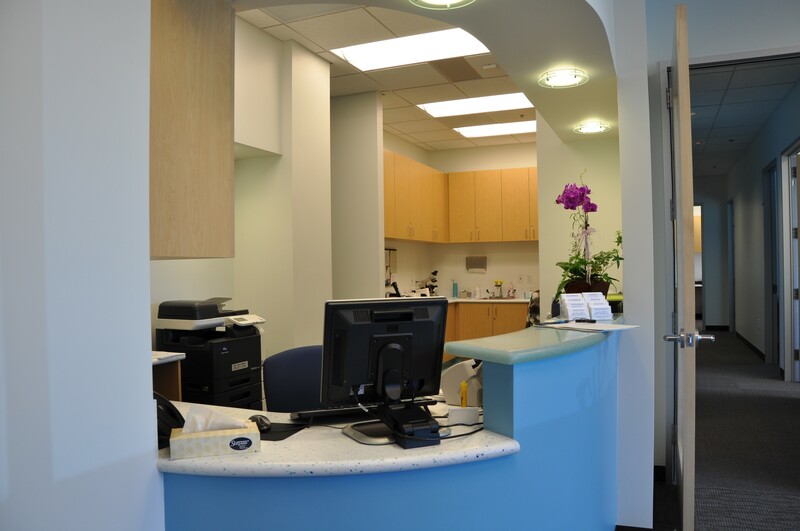 Teamed with Phoenix Planning, our team designed and built this doctor’s office and examination-room suite. 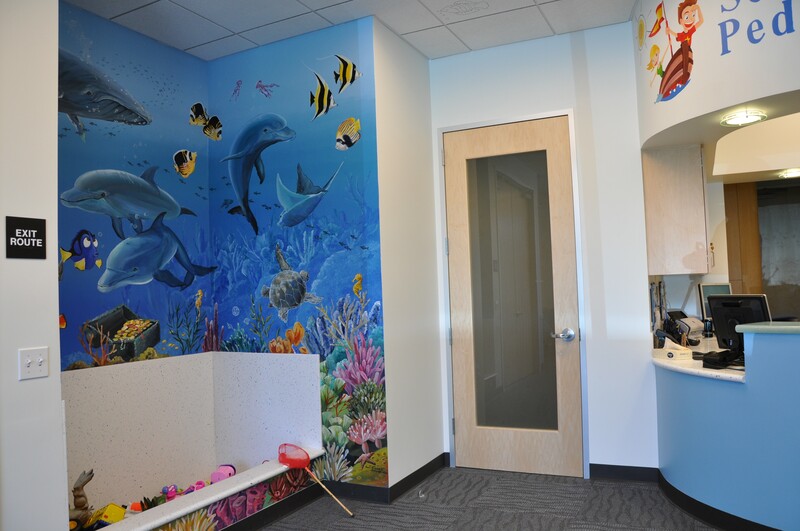 The suite consisted of seven exam rooms, lobby, lab and nurse stations, and check-out. 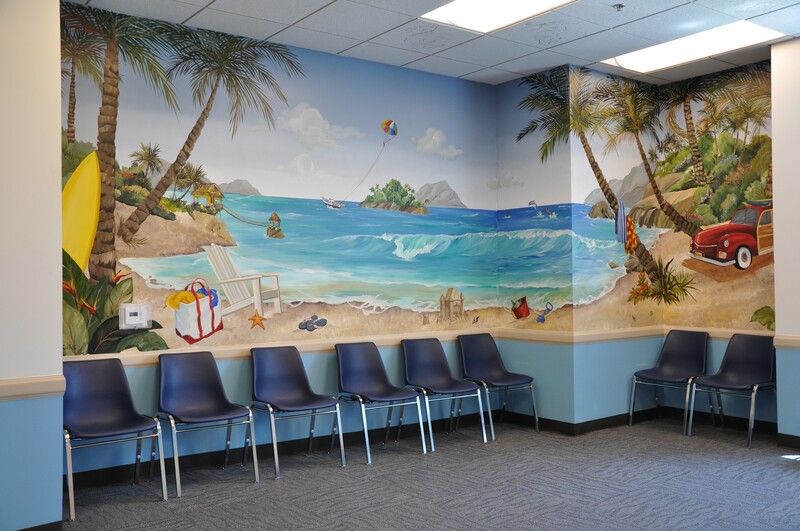 Murals with beach scenes were painted throughout the lobby area, along with a toy box for the children patients. 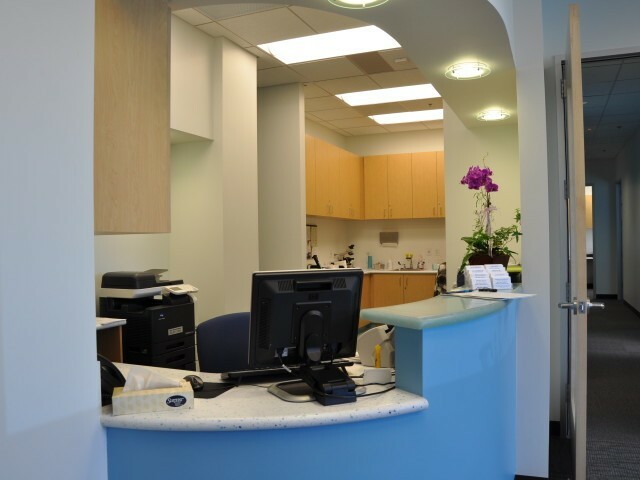 The layout enabled a circular circulation path around this core with lobby, exam rooms and doctor’s office around the perimeter. 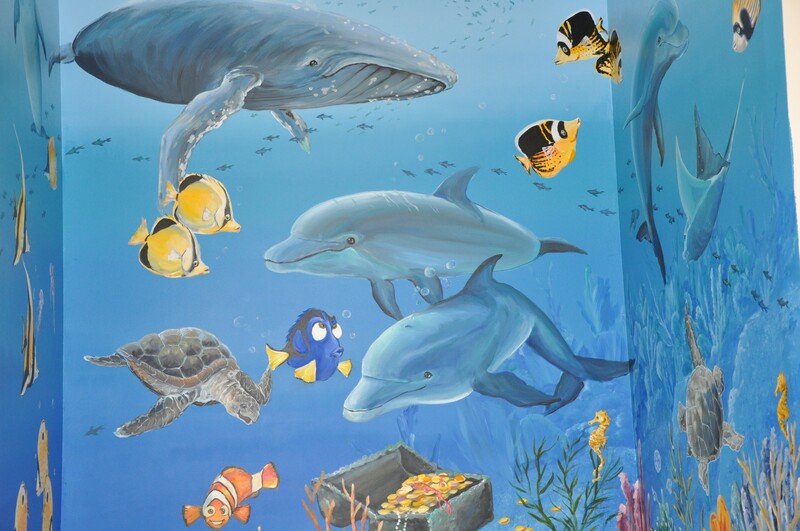 Phoenix Planning created an interior design scheme focused around a blue palette with the curved check-in counter evoking the bow of a ship sailing across the wave patterned carpet tiles throughout. 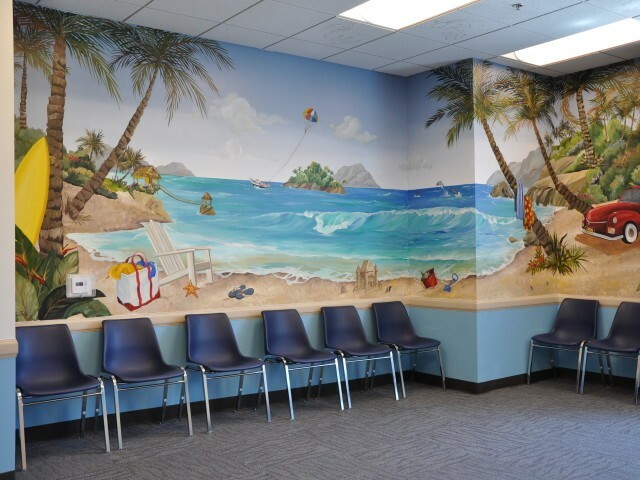 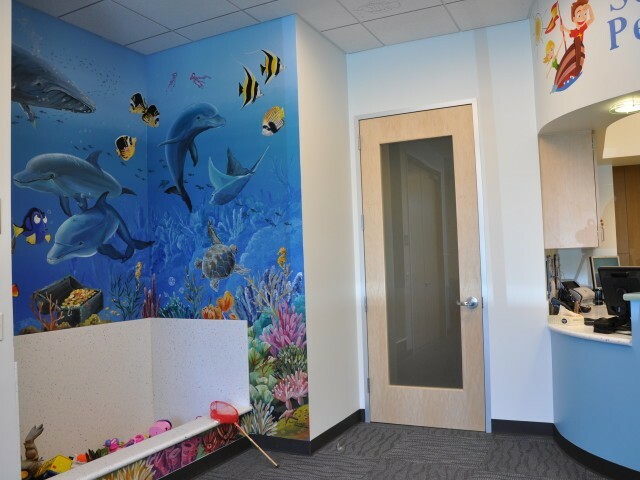 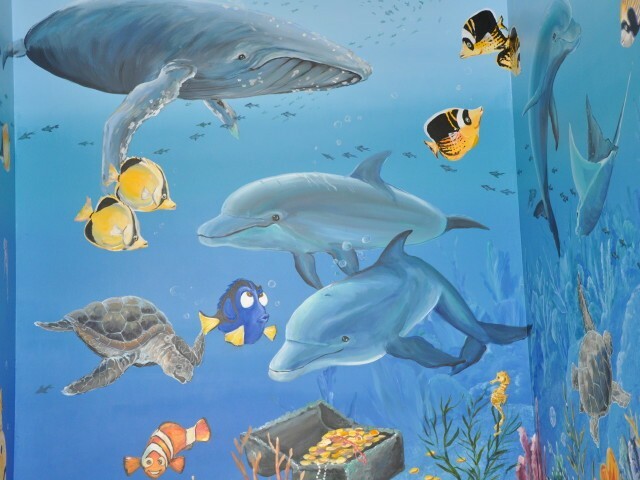 Murals representing beach scenes, surfing and woody wagons appear in the lobby with special die cut ceiling tiles with different imagery such as fish, bubbles, balloons, planes, paw prints, stars, and moons in the lobby and exam rooms.